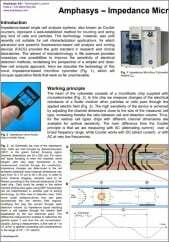 The heart of the cytometer consists of a patented microfluidic chip equipped with microelectrodes. 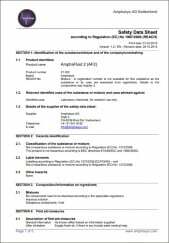 This high-sensitivity sensor measures changes of the electrical resistance (impedance) of the fluidic medium when cells or other particles pass through the applied AC electric field. 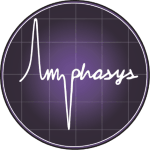 To ensure the highest possible sensitivity, Amphasys developed chips for the whole range from very small cells like bacteria to very large pollen (up to 150 µm). 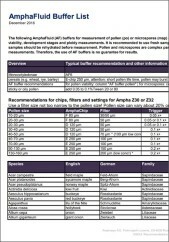 Chips can be used for about 1000 measurements when treated with care. 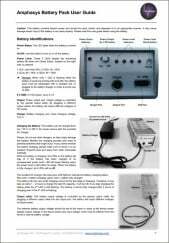 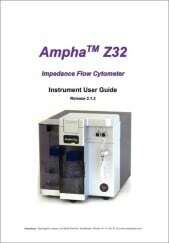 Amphasys’ impedance flow cytometer is analyzing single cells not optically but with electrical current. 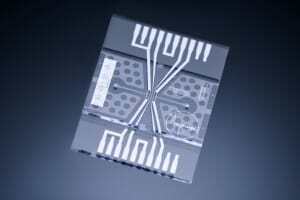 The absence of optical components reduces set-up times and maintenance to a minimum. 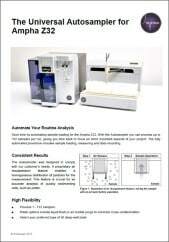 This also means that there are no expensive or toxic fluorescent dyes and time-consuming sample preparation procedures. 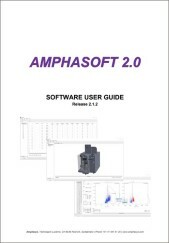 Latest generation digital signal processing electronics are specifically tailored to Amphasys’ semi-disposable chips, such that best-of-class impedance analysis on single cells is achieved. 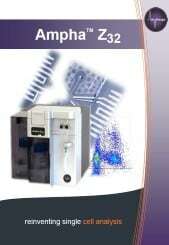 The small dimensions of Ampha Z32 and the robustness of the electrical measurement provide a portable solution for any kind of cell analysis, be it in your laboratory or in the field. 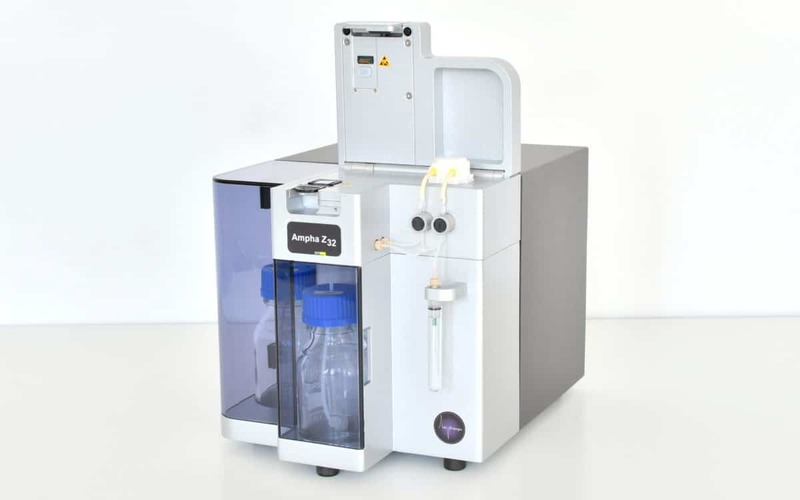 The Ampha Z32 is particularly suitable for routine applications, where detailed, high-quality cell analyses and ease-of-use are major requirements.